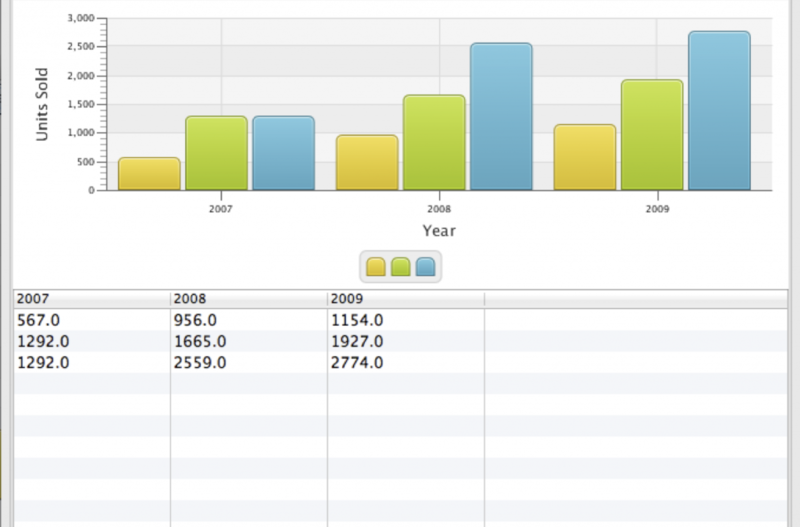 The big JavaFX news this week was the release of early access builds of JavaFX 2.1 for Windows and Mac OS. Here at the FX Experience blog, Jasper Potts blogged about styling JavaFX Buttons with CSS, where he demonstrated the power of CSS in JavaFX. 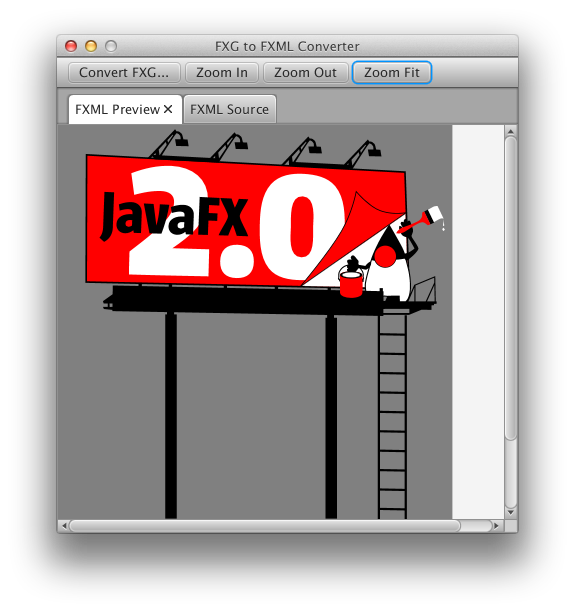 In a separate post, Jasper posted a tool he developed prior to JavaOne 2011 that converts FXG into FXML. As mentioned a few weeks ago, one of the new features in JavaFX 2.0.2 is support for SWT interoperability. 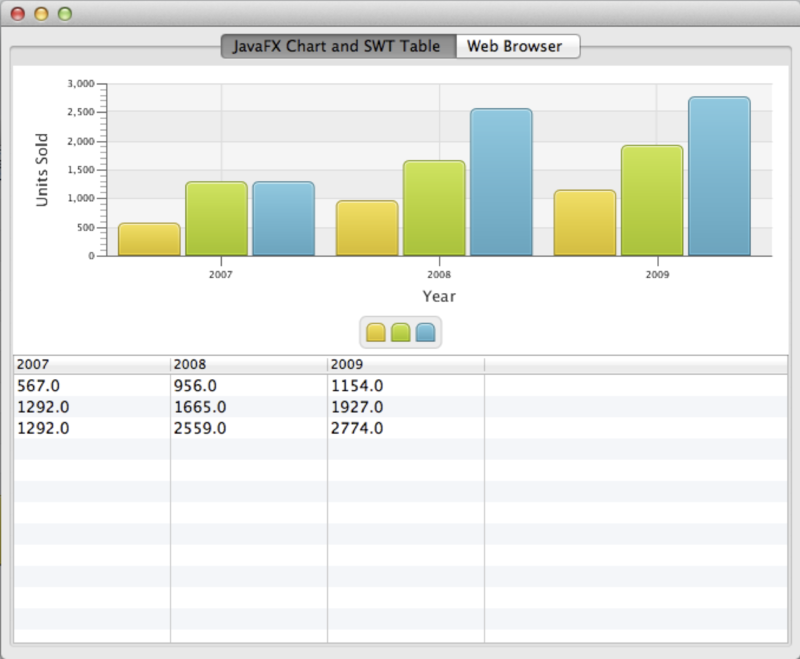 Richard Bair put up a sample application that integrates JavaFX Charts into an SWT application. The OpenJFX website was updated this week to include a ‘Getting Started‘ document, as well as the first two user experience specifications for Spinner and ‘DatePicker’. These two were posted first as they are being discussed in the openjfx-dev mailing list. Jim Weaver was interviewed in episode 61 of the Java Spotlight Podcast. Toni Epple has blogged about creating a custom DateChooser control. There is a bit of broken generic code at the top of the top of the DateChooserSkin class, but other than that it is a complete example. This is a control that is planned for a future release of JavaFX, but until then there exists both this DateChooser, and the one shipped as part of JFXtras. Hopefully one of these implementations may even be incubated and adopted into a future JavaFX release, now that JavaFX UI Controls are open source. Adam Bien has blogged about how to compile JavaFX 2.0 applications using Maven 3. In a separate post, Adam gave a very simple example of how binding works in JavaFX (in the form of a unit test). Dustin Marx has four JavaFX-related blog posts up this week: “Simple JavaFX 2.0 Text Example“, “(Pure Java) JavaFX 2.0 Menus“, “JavaFX 2.0 Christmas Tree (JavaFX 2.0 Shapes)“, and “JavaFX 2.0 Path Alternatives“. Carl Dea, who recently published the ‘JavaFX 2.0 Introduction by Example‘ book, has published a sample on his blog. For those attending JFokus, you may be interested in the ConferenceBrowserFX application Jim Weaver has created. For those in the St. Louis area, Weiqi Gao is presenting at the St. Louis Java User Group on the topic of JavaFX on January 12th. I try to not post videos as links, but every now and then break the rules. This week I have two interesting videos to share. Firstly, Gerrit Grunwald has put up a comparison video of his SteelSeries gauges, that demonstrates the difference (or similarity) between the Swing/Java2D and JavaFX versions. The second video is from Bertrand Goetzmann, where he shows off the latest features in Grezi. I hope you found something useful 🙂 Catch you in a weeks time!